Even though these words are not all the expressions of God, they are enough for people to achieve the purposes of knowing God and a change in disposition. 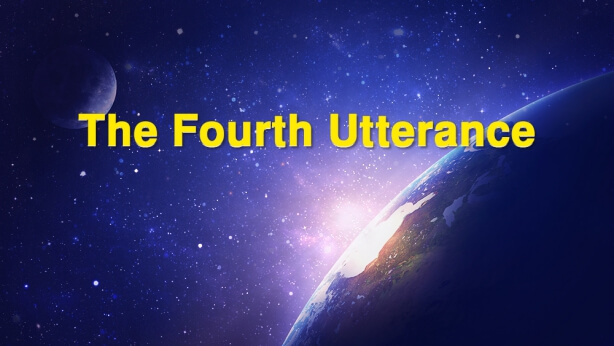 Perhaps there are some who think that because God’s work in the Chinese mainland has ended, this proves that He has finished uttering all the words that He should, and that He cannot possibly have any new utterances as these are all the words God can say. Moreover, there are people who believe that The Word Appears in the Flesh contains all the expressions of God in the Age of Kingdom, and that receiving this book is equivalent to receiving God’s all, or that this book will lead mankind in the future as the Bible did. I trust that the people who hold these views are not in the minority, because people always like to impose limitations upon God. Even though they all proclaim that God is omnipotent and all-encompassing, people’s nature still makes it easy for them to delimit God within a certain scope. At the same time that each person is getting to know God, they are also resisting and delimiting Him. God’s work in the Age of Kingdom has only just begun. All of God’s utterances in this book were only targeted at those who followed Him at that time, and they are merely a portion of the expressions of God in His current incarnation, and they do not represent God’s everything. Moreover, it cannot be said that it is all of the work that God incarnate is going to do this time around. God will target His words to people of different ethnicities and backgrounds, and He will conquer all of mankind and end the old era, so how could He wrap it up after expressing such a small portion of His words? It’s just that God’s work is divided into different time periods and different steps. He is working in accordance with His plan and expressing His words in accordance with His steps. How could man possibly fathom God’s omnipotence and wisdom? The fact that I am explaining here is this: What God is and has is forever inexhaustible and limitless. God is the source of life and all things. God cannot be fathomed by any created being. Lastly, I must still remind everybody: Do not delimit God in books, words, or His past utterances again. There is only one word for the characteristic of God’s work—new. He does not like to take old paths or repeat His work, and moreover He does not want people to worship Him by delimiting Him within a certain scope. This is God’s disposition.